Indie/shoegaze quartet Ride will celebrate 30 years in the music business with an intimate, acoustic gig at Dreamland. The 90s band say the tour idea sprung from a unique night in April when they played at St Paul’s Church in Worthing. 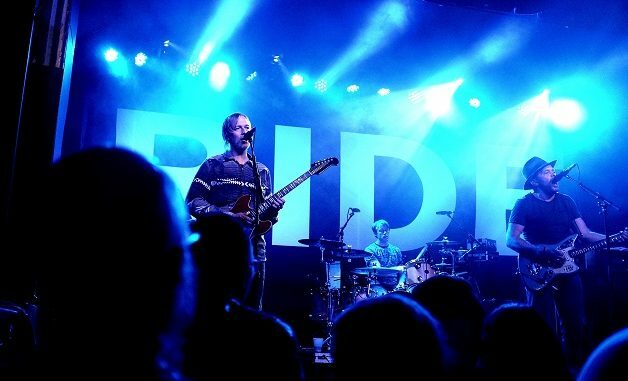 Ride, who broke up in 1996, performed an entire acoustic set, mixing in recent songs from the acclaimed ‘Tomorrow’s Shore’ EP and ‘Weather Diaries’ album – both produced by Erol Alkan and mixed by Alan Moulder – with tracks from Creation-era classics ‘Nowhere’, ‘Going Blank Again’ and ‘Carnival Of Light’. Now the four – Andy Bell, Laurence Colbert, Mark Gardener and Steve Queralt – will bring the acoustic tour to Margate, playing at the Hall By The Sea on November 30. Tickets for the gig, which runs from 7.30pm to 10.30pm, go on sale at 10am, Friday (October 5). Prices start from £22.50 plus booking fee in advance.